C does it again! 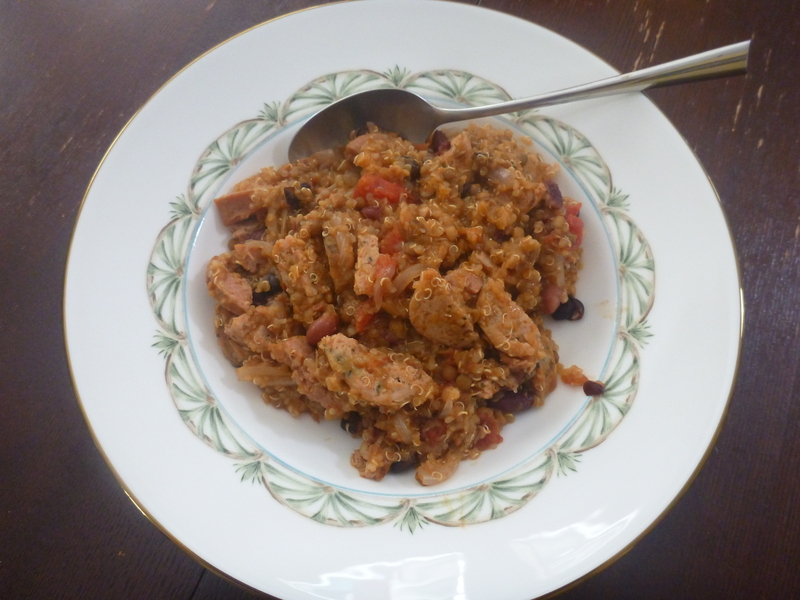 On the first day of fall, he made a delicious one-pot meal of chicken and andouille sausage, beans, quinoa, tomatoes, onions, lentils, and a small splash of enchilada sauce. I swear with a little ricotta that this could also make a great filling for a lasagna.